The overly broad language has the potential to define any criticism of Israeli policy as antisemitic. This could include frank discussions of the impact of Zionism, campus disagreements about the future of Israel/Palestine, and in fact, much of what falls under Jewish Studies in all facets, including courses. This is fundamentally contrary to the educational processes of learning critical thinking and disparate points of view, and hurts our ability to prepare students to take on global challenges ahead of us. via Jewish Voice for Peace and the Palestinian BDS National Committee. From left, Halima and Hadiba Kayed, the first wife of the father of administrative detainee Bilal Kayed, and Bilal's mother, respectively, at home this month. After we’ve cited nationalism and racism, hatred and contempt for Arab life, the security cult and resistance to the occupation, victimhood and messianism, one more element must be added without which the behavior of the Israeli occupation regime cannot be explained: Evil. Pure evil. Sadistic evil. Evil for its own sake. Sometimes, it’s the only explanation. Eva Illouz described its signs (“Evil now,” Haaretz, July 30). Her essay, which challenges the idea of the banality of evil, considers the national group as the source of the evil. Using philosopher Ludwig Wittgenstein’s concept, she finds a “family resemblance” between the Israeli occupation and history’s evil regimes. This similarity does not mean that Israel is Nazi, nor even fascist. And yet it is a member of the same terrible family, the family of evil states. It’s a depressing and brilliant analysis. The evil that Illouz attributes to Israel is not banal, it cannot happen anywhere, and it has political and social roots that are deeply embedded in Israeli society. Thus, Illouz joins Zeev Sternhell, who warned in his impressive and resounding essay about the cultural soil out of which fascism is now growing in Israel (“The birth of fascism,” Haaretz Hebrew edition, July 7). But alongside these analyses, we must also present a brief history of evil. We must present the instances that combine to create a great and horrific picture, a picture of Israeli evil in the territories, so as to stand up to those who deny the evil. It is not the case of the individual – Sgt. Elor Azaria, for example, who is being tried for the death of a subdued Palestinian assailant in Hebron – but the conduct of the establishment and the occupation regime that proves the evil. In fact, the continuation of the occupation proves the evil. Illouz, Sternhell and others provide debatable analyses on its origins, but whatever they are, it can no longer be denied. One case is like a thousand witnesses: the case of Bilal Kayed. A young man who completed a prison term of 14.5 years – his entire sentence – without a single furlough, without being allowed to at least say goodbye by phone to his dying father; a clear sign of evil. About six weeks ago, Kayed was getting ready for his release. A representative of the Shin Bet security service – one of the greatest agencies of evil in Israel – even showed him a photograph of the home his family had built for him to stir him up even more ahead of his release. And then, as his family waited impatiently for him at the crossing point and Kayed grew ever more excited in his cell, he was informed that he was being thrown into administrative detention for at least another six months, without trial and without explanation. Since then, he has been on hunger strike. He is cuffed to his bed. His family is not allowed to see him. Prison guards never leave his room and the lights are not turned out for a moment. Evil. Only evil can explain the state’s conduct toward Kayed – only an evil state acts this way. The arbitrary announcement, at the last moment, of a senseless detention is abuse, and the way he has been treated since then is also abuse. Only evil can explain the detention last week of another young man, Hiran Jaradat, whose brother Arif (who had Down syndrome) was killed in June and whose father died two days ago. He is under arrest for “incitement on Facebook” and was not released to attend his father’s funeral. Evil. The continuation of the detention of poet Darin Tatur – evil. The destruction of the tiny swimming pool that the residents of Khirbet Tana in the northern West Bank had built for themselves – evil. The confiscation of water tanks from a community of shepherds in the Jordan Valley in the July heat – evil. A great many of the decisions of the occupation regime that decides the fates of individuals, families, communities, villages and cities cannot be explained without evil. The list is as long as the occupation. The extortion of sick people from Gaza to enlist them as collaborators, the blockades on cities and towns for weeks, the Gaza blockade, the demolition of homes – all evil. Banal or not, its existence must be acknowledged and it must be recognized as one of the most influential values in Israel. Yes, there is an evil regime at work in Israel, and therefore it is an evil state. 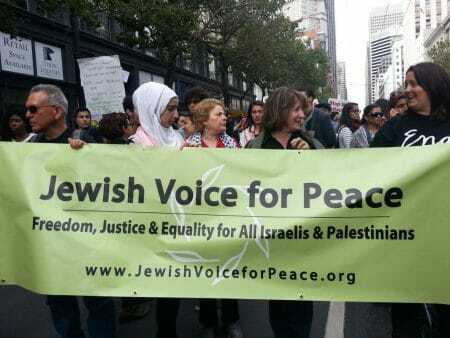 At least 700 Palestinian and Israeli activists and other peace groups marched on Friday at the freedom march to mark the 10th anniversary of founding Combatants for Peace movement. Joining the protest today Alistair Little and Gerard Foster former combatants from both sides of the Irish conflict. The march started from the entrance of Batier village to the south of Bethlehem city. People marched towards settlers road 60 and walked all the way to the tunnel checkpoint separating Bethlehem area from Jerusalem. During the march activists and members of CFP used hand-made poppets to close the settlers road and then used it during the protest as the chanted anti occupation slogans and demanded the end of occupation and the establishment of peace. On the evening of June 5th, 2016, 49 years into the occupation of the West Bank and Gaza, Jewish organizations and individuals worldwide speak out in support of the right of Palestinians to non-violently resist Israel’s illegal and inhumane occupation. In a petition sent to numerous national parliaments and European Union institutions, the undersigned groups call for all international bodies “to use all their available means of diplomacy and power to compel the Israeli government to immediately halt its intimidation campaign against Omar Barghouti and the Palestinian-led BDS Movement”. Appalled by the state-led bullying against non-violent resistance, the undersigned “wish to underscore a basic truth which seems to escape the current Israeli administration and its apologists: international citizens’ boycotts against ongoing abuse of international law are a legally-protected and fundamental civil right. So far, signatories of the petition include: Jewish peace organizations from the USA, Canada, UK, Ireland, Germany, France, Italy; as well as a hundred distinguished Jewish activists, such as Noam Chomsky, co-founder of Code Pink Medea Benjamin, former South African government minister Ronnie Kasrils, former Israeli human-rights lawyerFelicia Langer, the Israeli filmmaker Eyal Sivan and laureate of the Sakharov Prize for Human Rights Nurit Peled-Elhanan. Original article with copy of petition and additional signatures at BNC official. Israeli film-director Udi Aloni, 56, who won the top audience at Berlin Film Festival on Saturday, has labelled the Israeli government “fascist” and urged Germany to cease its military support to Israel. By the end of the session, he mentioned the Palestinian hunger-striker Mohammed al-Qiq as an example “non-Jews’ lack of rights in Israel”, saying that Qiq was dying in administrative detention without being accused of committing a crime. In a response to Aloni’s comments, according to the Israeli Media, the Israeli Culture Minister Miri Regev said that Israel should not fund films that slander it, refering to the financial support that Aloni’s film received from Israel’s Culture Ministry. “Aloni’s statements were a clear proof that artists who subvert the state, defame it and hurt its legitimacy should not be funded by the tax payer. A sane country should not assist slanderers and denouncers who malign it, immediately after drinking from its coffers,” Regev stated. Last year, more than 3,000 artists, including some of the country’s most prominent actors and directors, signed a petition against Ms Regev’s policies. “Junction 48” – whose is a Arabic-language film that features mostly Palestinian actors – tells the story of a Palestinian rap star and his girlfriend who live near Tel Aviv in the mixed Jewish-Palestinian city of Lod, known until recently as one of the main drug-running centers of the Middle East.Actress Samar Qupty said it should be easy for Palestinians to identify with the movie, even though it depicts people living lives that are radically different from strict Muslim traditions.